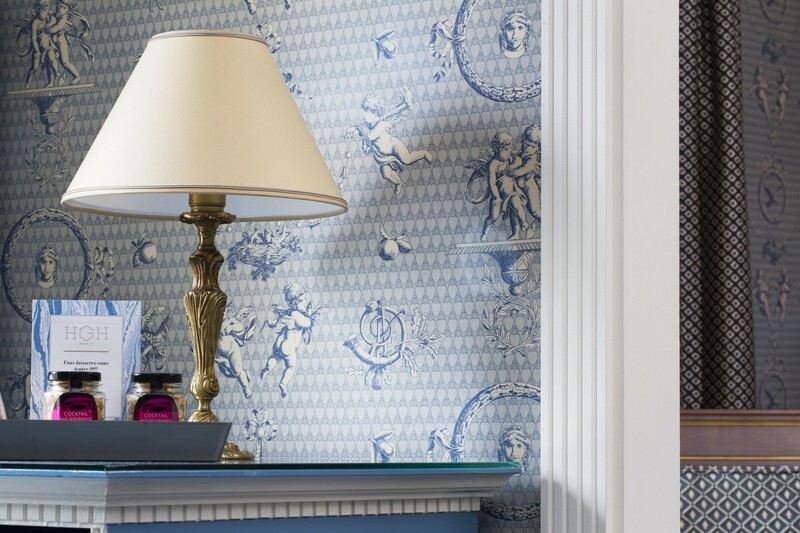 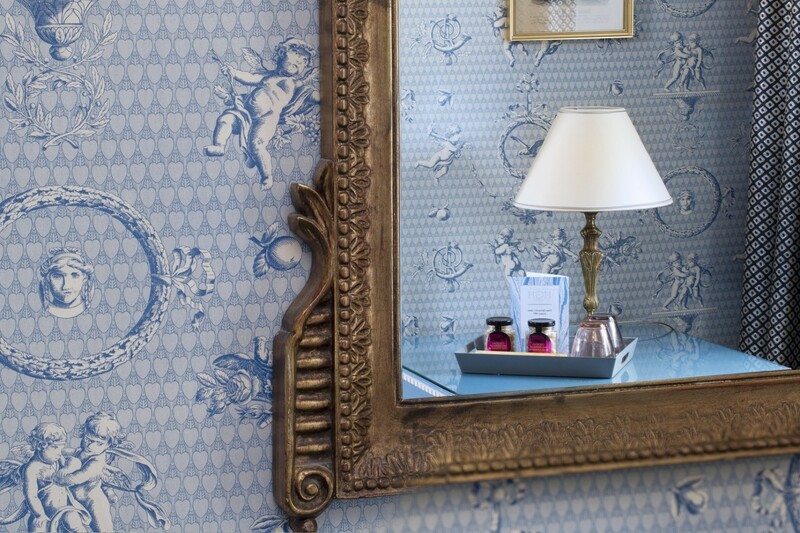 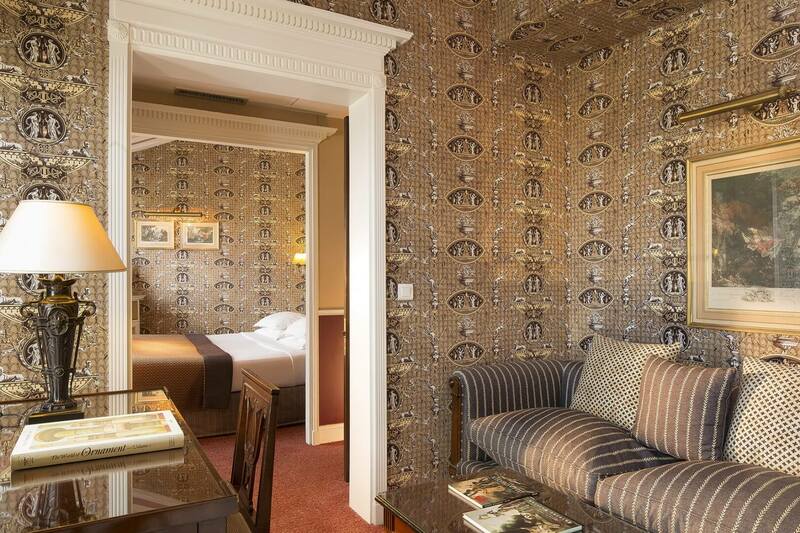 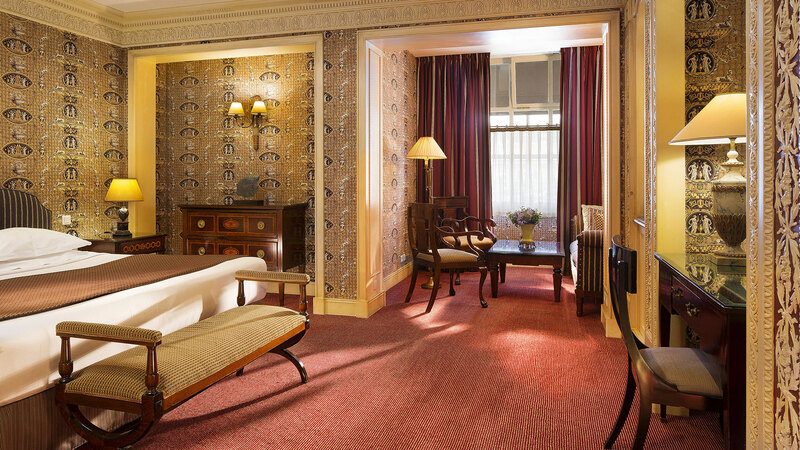 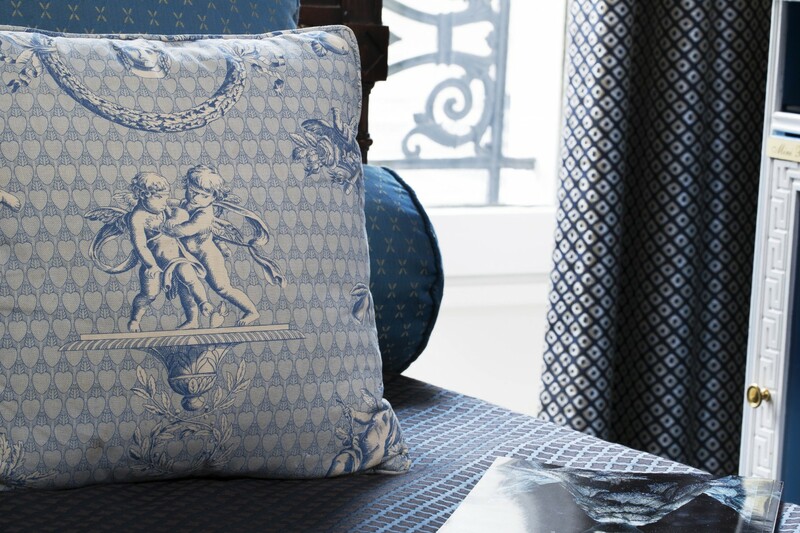 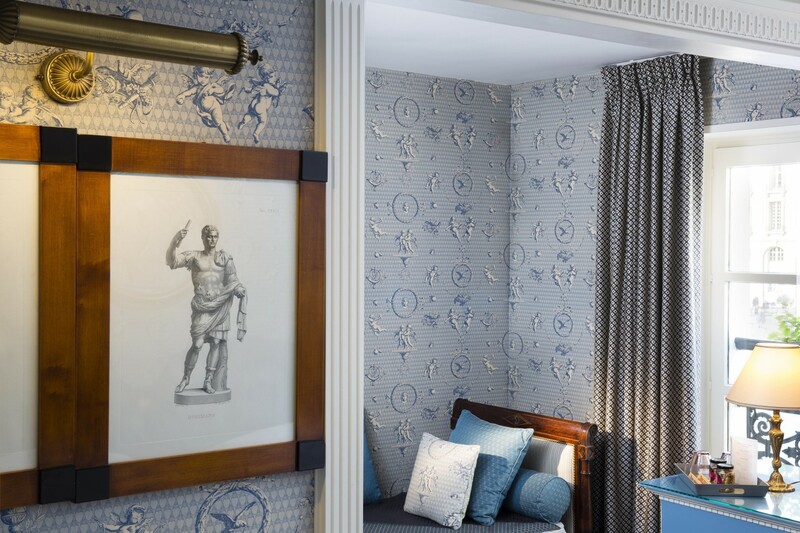 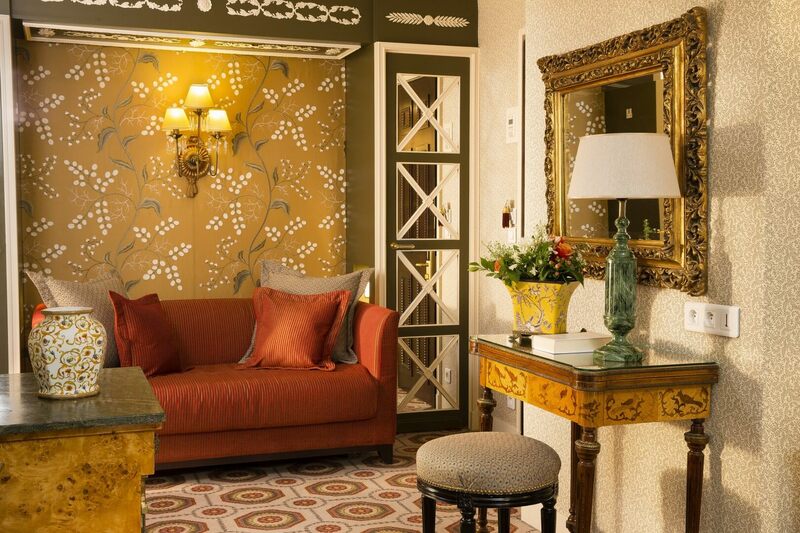 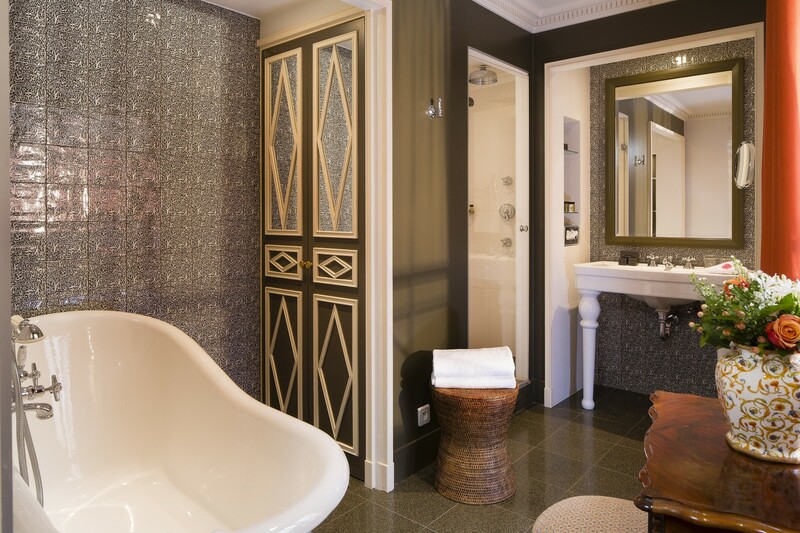 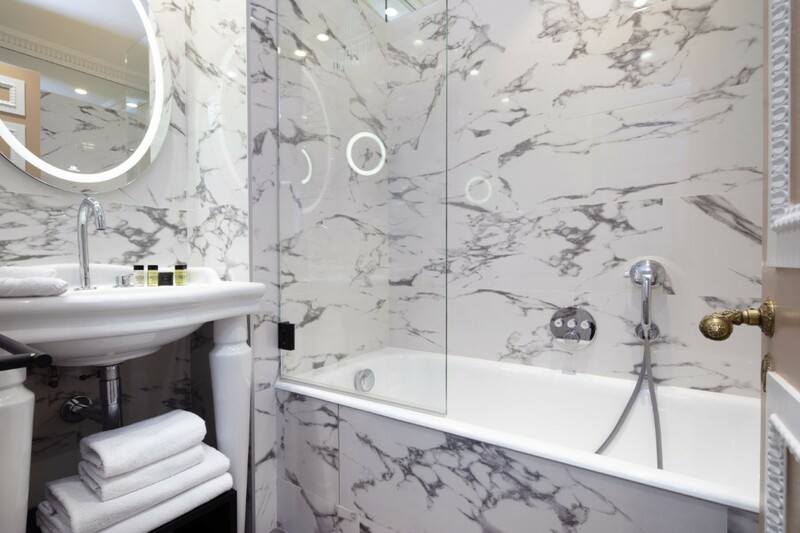 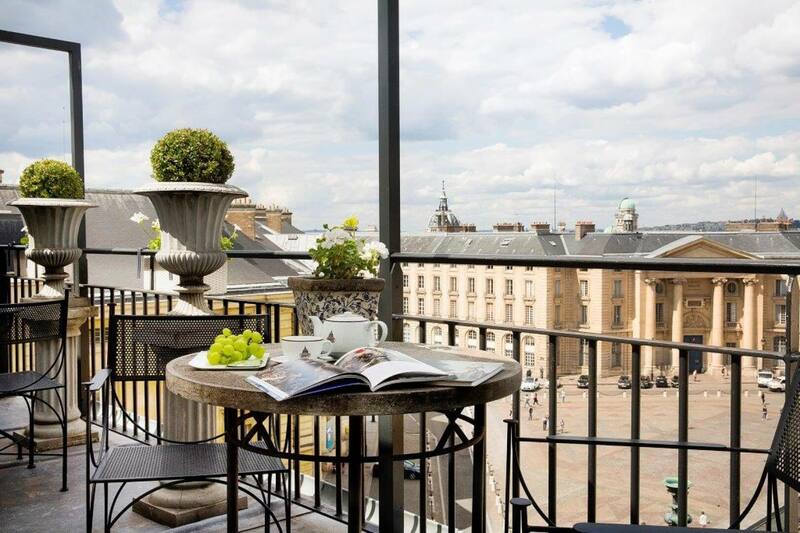 The hotel’s two Junior Suites have a lounge area adjoining the room, with a magnificent view of the Pantheon. 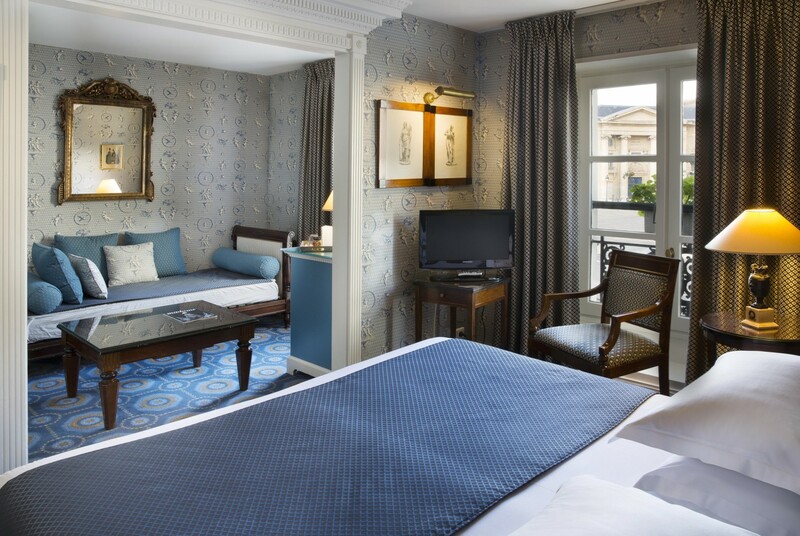 Ideal for long stays, one Suite measures 22m², the other 35m², providing a space that is both roomy and cosy. 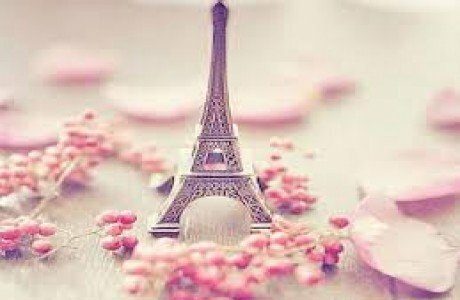 An exceptional view of Paris! 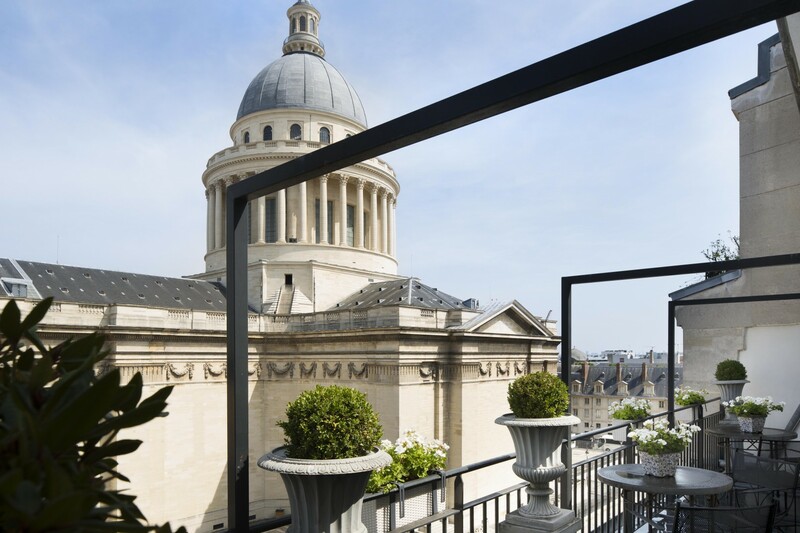 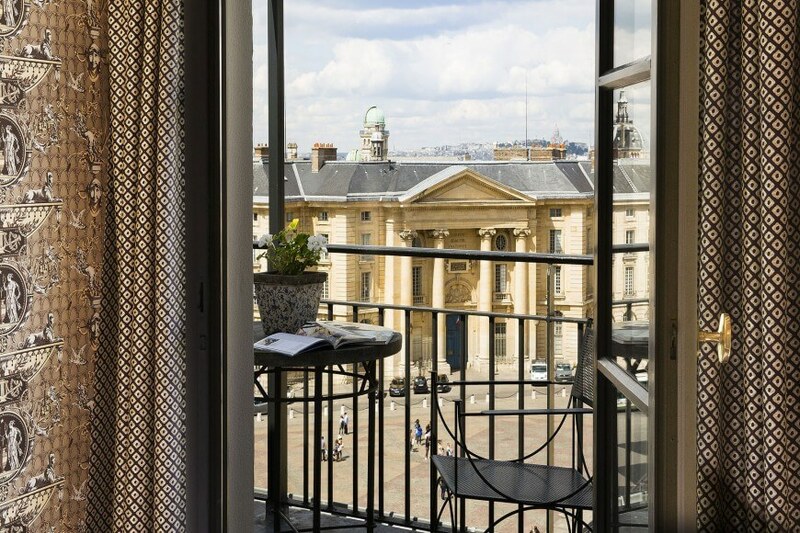 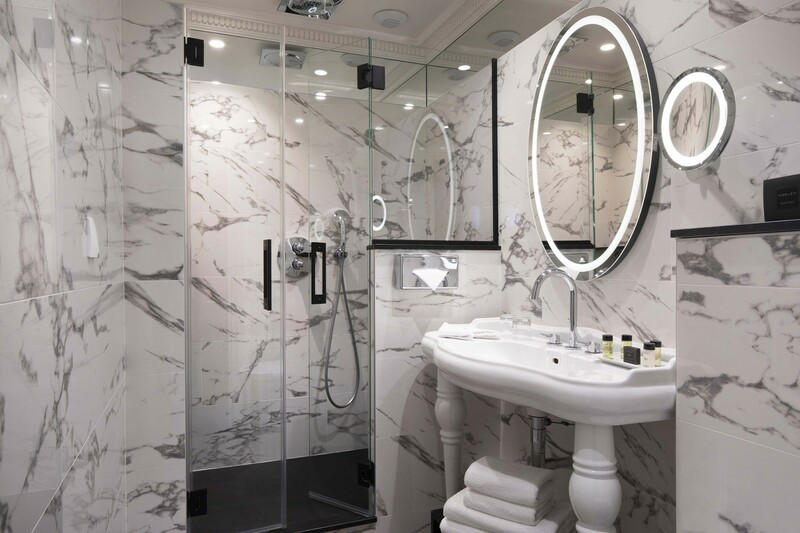 This Junior Suite, on the top floor of the hotel, has a breathtaking view, not only of the Pantheon but across the rooftops of Paris to the beautiful Sacré-Cœur in the distance. 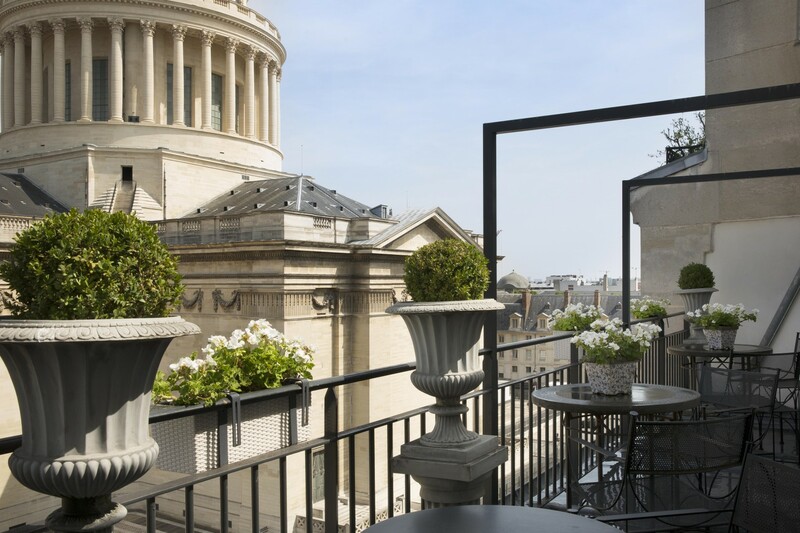 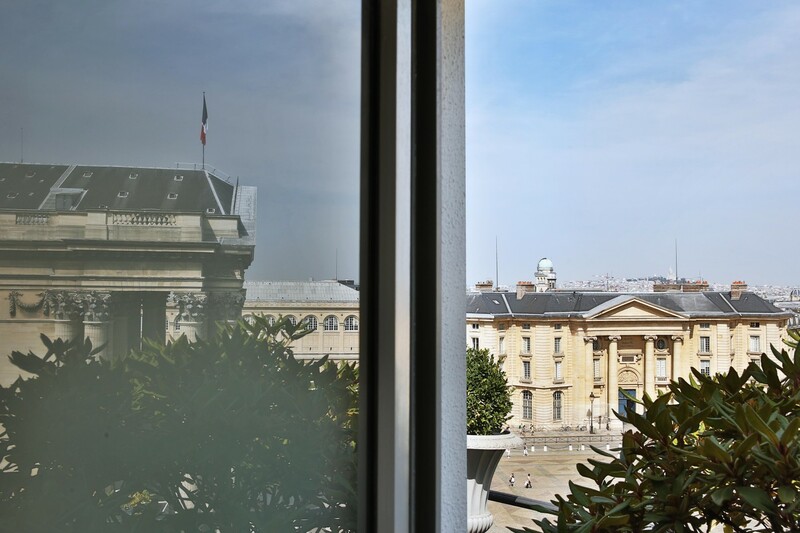 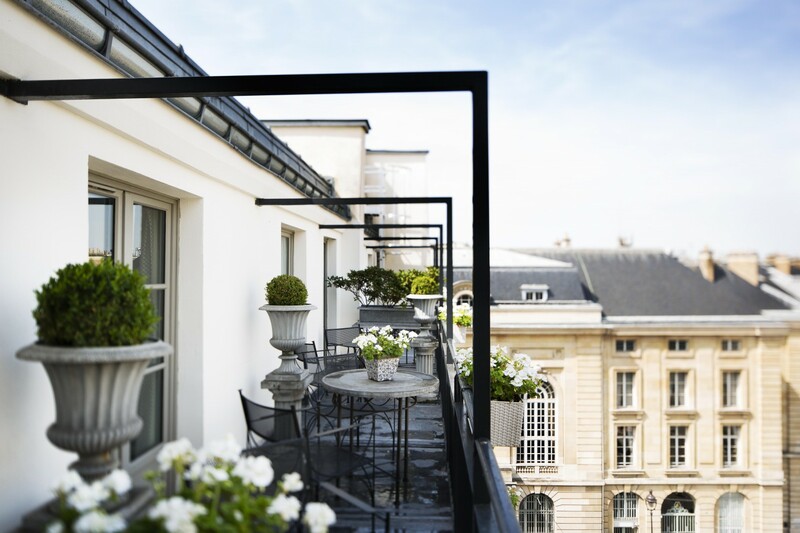 Tables and chairs await you on its 15m² typically Parisian zinc terrace, so you can sit back, relax and enjoy the incredible panoramic view! 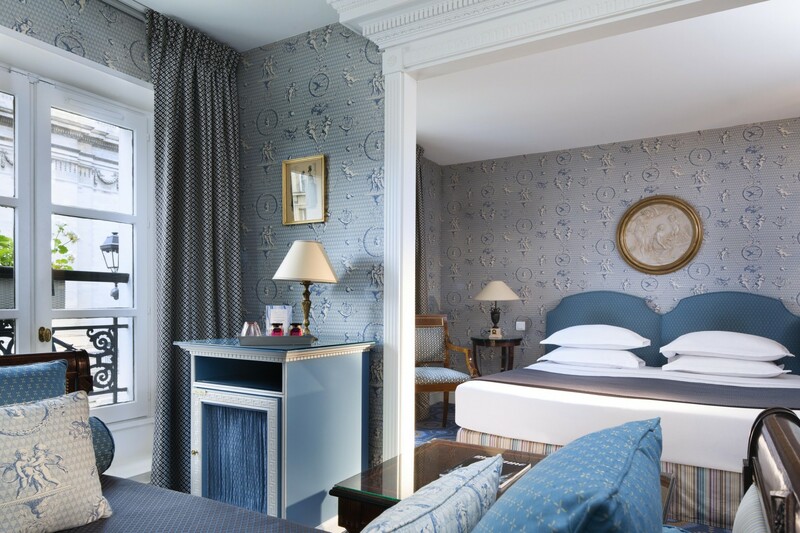 For a wedding anniversary, honeymoon or just a lover’s weekend, the Hotel des Grands Hommes is the perfect place for a romantic stay. 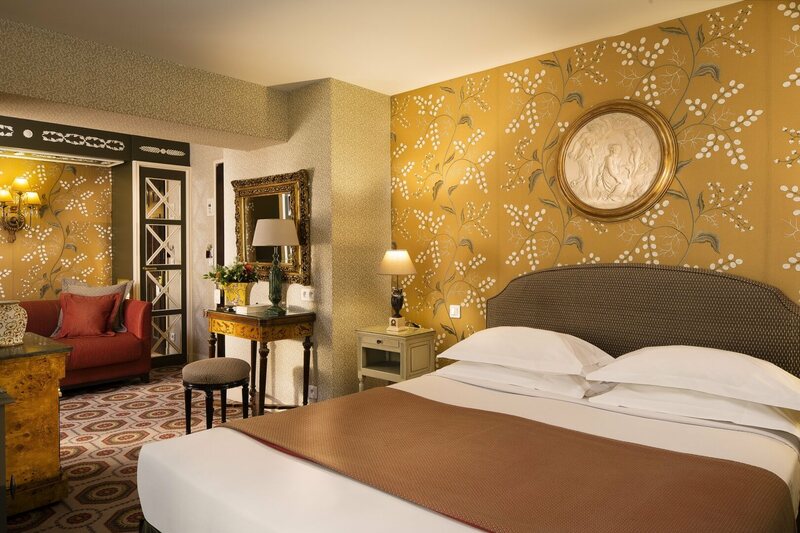 We’ll even offer you a half bottle of champagne when you arrive and scatter rose petals on your bed!